From 14th December to 18th December 2014, the six organisations of the e-PPR project (e-Learning for the Prevention, Preparedness and Response to Natural Disasters) met in Alcalá de Guadaíra (Spain) for their first transnational meeting. The first day began with a warm welcome from the Alcalá de Guadaíra City Council, led by councillor María Dolores Gutiérrez Peral and chief fire officer Marcelino Sancho Gómez, and a tour of the fire station of the city where most of the activities of the meeting took place. The General Project Manager, Kim Lintrup, then opened the first work session by reminding the partners of how the project came to be: in December 2013, when heavy floods hit Denmark, the Frederikssund-Halsnæs Fire & Rescue Service witnessed first-hand what are the consequences when the population lacks education in the event of a natural disaster. A year later, the e-PPR project is a reality and the six European organisations are dedicated to providing high quality online educational materials for all on the prevention, preparedness and response to natural disasters. In order to achieve this, participants used the first meeting to set strong foundations for the work of the partnership. In particular, they worked on the development of the educational content for the e-learning platform, reviewing the work done so far by each organisation and sharing feedback and advice to help each other. The rest of the time was spent discovering the local culture, with the firemen of Alcalá de Guadaíra taking the participants to try local tapas and to visit the historical parts of their city and the nearby city of Seville. 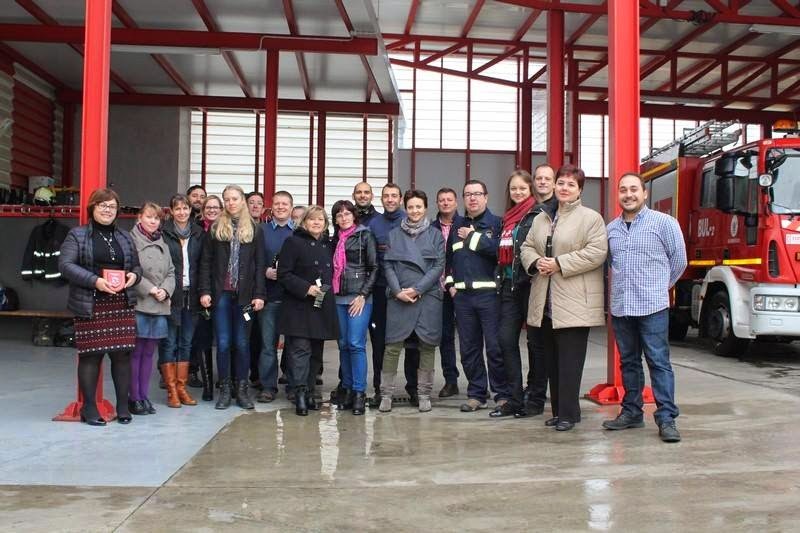 This cross-sectoral and cross-border partnership is an initiative of Frederikssund-Halsnæs Fire & Rescue Service (Denmark) in collaboration with National College “Vasile Goldis” (Romania), Lohusuu School (Estonia), Northumberland Fire and Rescue Service (United Kingdom), Vilnius County Fire and Rescue Board (Lithuania) and the City Council of Alcalá de Guadaíra (Spain). The e-PPR project is co-funded by the European Commission within the framework of the Erasmus + Programme. This publication has been produced with the assistance of the European Union. The contents of this publication are the sole responsibility of the project partners and can in no way be taken to reflect the views of the European Union. All files, documents and information available on this website are available for free use and re-purposing by any interested party without violating the rights of the original developers.